You know Snapchat right? That kind of weird photo messenger that allows exchanging self-destructing shots. Well it turns out, that what started as a silly university startup has grown into one of those rare businesses that everybody wants in on. Industry sources now hint that Alibaba, China’s online shopping giant is also taking a huge interest in the service and plans to invest $200 million in it, on a valuation of a whopping $15 billion. In fact, just last month, the Los Angeles-based chat company was in talks to raise another $500 million, independent of Alibaba’s offer. This would price the company even higher, between $16 and $19 billion. The fact of the matter is, that the seemingly simple app has been an object of a lot of attention ever since it started at Stanford University back in 2011 and turned down a huge $3 billion offer from Facebook. Since then, the service has expanded and now offers public stories, various third-party multimedia content and even payment transfers. 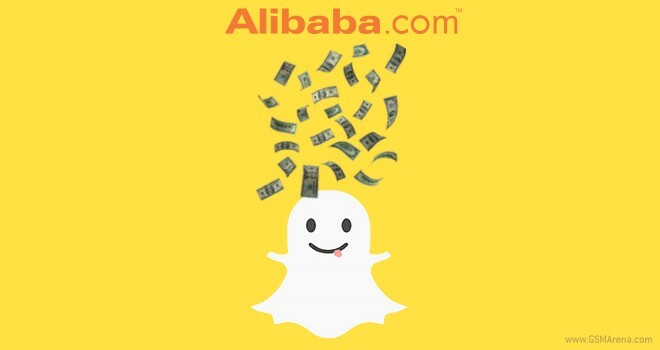 Neither Alibaba nor Snapchat have commented on the alleged financial deal and it is not really clear why Alibaba is showing such a high interest in the chat app and how it intends to partner with it. In any case, Snapchat has become really popular among teens and is thus a perfect promotional tool for the online store.